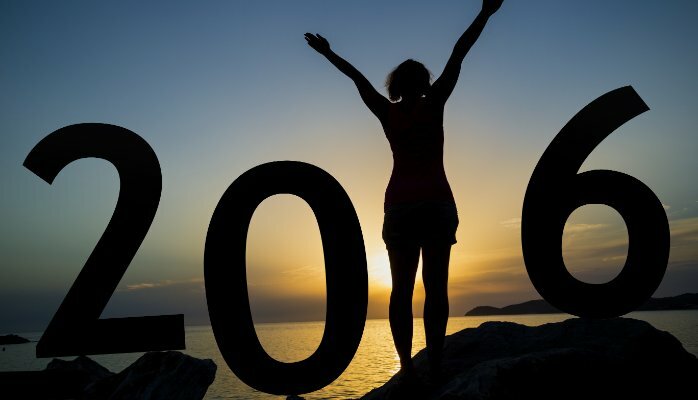 Millions of Americans made New Year’s Resolutions last month. Most of them will fail. In fact, 25% of people have already bailed on their resolutions after just one week. Are you one of them? All of those good intentions to make improvements in your health, family, or career…do they actually work? Research shows that less than 8% of us are successful by the end of the year. Don’t be discouraged by this dismal statistic. Many well-intentioned people simply don’t have the tools or knowledge to make their resolutions stick and accomplish their goals. Do you want to make this year different by turning your resolutions into habits and lasting change? You can. The key is understanding the subtle difference between a resolution and resolve. A RESOLUTION is defined as a decision to do or not do something. RESOLVE is defined as firm determination to do something. Notice the difference? One is wishful thinking. A fleeting moment in time. The other involves ongoing action with a fixed purpose. A dedication to the process. Anyone can make a resolution. Not everyone has resolve. Specific. You can’t measure success if your goal is vague. “Pay $3,000 down on my credit card balance” is specific. “Reduce debt” is not. Meaningful. In order to maintain resolve, your goal needs to compel you to stay dedicated on the days you don’t feel like it. Meaningful goals are not boring. They stimulate you intellectually, move you spiritually, challenge you physically, and energize you emotionally. Achievable. Goals should stretch you, and get you out of your comfort zone. At the same time, they should be realistic. A dream of mine might be to play on the LPGA. I’m much more likely to shave 5 strokes off my handicap this year. Relevant. Your goals need to be tied to your core values and “burning why.” Are they aligned with who you are? Do they follow the mission and vision of your organization? Time-bound. Your goal needs a timeframe. Deadlines keep you focused and motivated. “Lose weight” is a vague resolution. “Lose 20 pounds by June 1” is a SMART goal. 2. Write down your goals. You are three times more likely to achieve your goals when you write them down, and make them visible. Display them somewhere so that you see them daily. 3. Stay outcome driven, and process focused. Let the desired result drive you, but don’t let it overwhelm you. Focus on the next right step. If you look at the entire action plan required to meet your goal, you can get bogged down in analysis paralysis. You can’t eat an elephant in one day. You do it in bite-sized chunks. 4. Celebrate milestones. You won’t accomplish the change you want to make in your life overnight. Improvement worth making requires endurance and dedication. You may get discouraged along the way and be tempted to quit. Don’t wait until you reach the end goal to celebrate success. Revel in the small victories along the way. Want to lose 20 pounds? Throw a party when you’ve shed the first five. Don’t make useless resolutions you won’t keep this year. Instead, develop a firm determination to make lasting changes in your life. Wishing you a Happy New Year, and the resolve to reach your goals! Athenian Consulting Group’s Human Performance Practice maximizes individual, workforce, and organizational performance. We help leaders reach their potential in sports, business, and life.